The Ranger/Outdoor Skills Counselor lives with and supervises the ranger campers, assuring that the camper’s safety and health are attended to at all times, and assuring that the campers have an excellent camp experience. Live with and supervise the activities of the ranger campers at all times. Check to see that the campers are getting their medication correctly and per schedule. 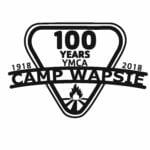 In any activity follow the policies and philosophies of Camp Wapsie and assure that the campers are also following them. Participate in all of the courses, activities, and planning sessions during the week of pre camp. Plans, with a committee, one world service activity and one special day. Teach and direct any assigned Junior Counselor and Leadership campers, mostly by being a strong role model. Develop and lead the Ranger camp schedule according to Camp and program goals and policies. Plan menus and food preparation for Ranger campers. Plan for and conduct nightly cabin devotions/taps. Responsible for the cleanliness of the living area, grounds around it, and the activity area. Lifeguard in the pool guard rotation when assigned. Notify staff which activities your kids will participate in. Oversee care of garden including: watering, weeding and harvesting of vegetables. Program activities for your campers during cabin activity times. Attend the weekly 1:00 PM Sunday staff meeting and share your ideas and distribute any informational material for an activity that you are programming during the week. Must possess the ability to work with and motivate children between the age of 5 and 18. Must possess a strong knowledge of Outdoor skills activities. Enjoy working and interacting with people of all types and ages, with a special emphasis on children, modeling and utilizing the important core values of caring, honesty, respect and responsibility. Seasonal position. Late May – Mid August.